Busy Bee Nursery is licensed the Maryland State Department of Education as a group daycare center. 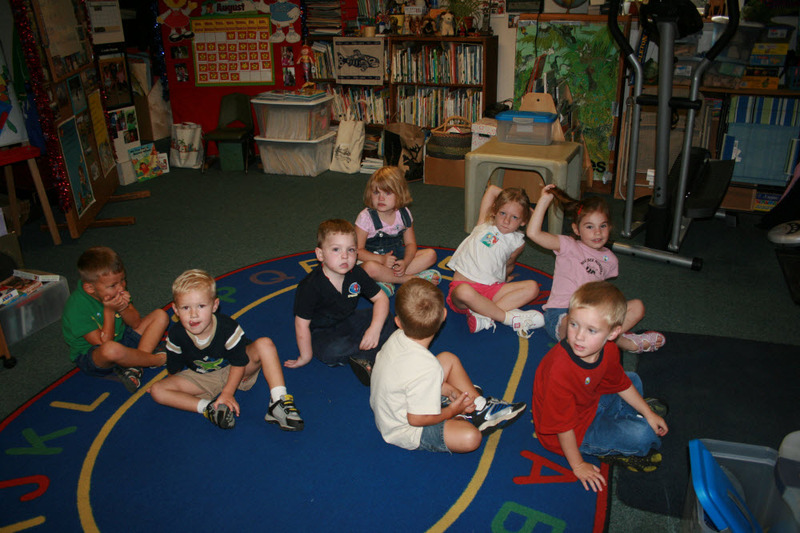 Busy Bee also offers an approved preschool program in its morning sessions. This program is approved by the Maryland State Department of Education. Busy Bee is a non-profit, tax exempt corporation. Busy Bee is for the instruction of all persons regardless of race, color, religion, creed or national origin. Busy Bee, in its hiring policy, does not discriminate on the basis of race, color, religion, creed or national origin. Director-President — Joyce Hughes Wittig, B.A., A.P.C. Vice President — Scott B. Williams, B.S. Secretary-Treasurer — Van Colton Williams, B.A. Resource Consultants — Benjamin R. Williams, B.A., A.P.C. & Arthur W. Wittig, B.S., M.A., A.P.C. Busy Bee Nursery School, Inc. was started in 1973 at St. Paul’s Parish Hall, Prince Frederick Maryland. The origin corporation was Joyce H. Williams, Katherine B. Gallagher, and Roxy Odgen. We offered only a nursery school program. In 1984 the new location was built. We moved in over Thanksgiving vacation and started a small day care program in addition to the nursery. Since that time we have expanded the daycare, added before and after school care, and continued our nursery school program. The state board office changed our name from Busy Bee Nursery School, Inc. to Busy Bee Nursery, Inc., since we now have more daycare children in our center than nursery school children. To supplement the home by providing a surrounding in which the children develop intellectually, physically, socially and emotionally under the guidance of qualified teachers. We believe each child is unique, and has a right to be respected for his/her individuality. Keeping in mind the general behavioral characteristics of preschool children, we gear our educational approach to meet each child’s individual emotional, social, intellectual and physical needs. We believe the preschool child needs the support of his/her parents in all of his/her activities; for this reason we encourage cooperation between child, parent and teacher. to allow plenty of time for children to do things for themselves and take responsibility for their own care in line with their own abilities.